…without a proper assessment and comprehensive civil discussion with your prescriber, it could be very uncomfortable. I recognize that when you’re the one in pain and threatened to have your opioid life-line swiped from your hands or dose drastically reduced, it is a difficult task. But, as the saying goes, “you get more bees with honey than vinegar”. There are thousands of comments collectively on various paindr.com blogs here, many of which you can find by searching this blog site with key term “withdrawal”, from patients that have had their opioid doses drastically reduced quickly or just plain stopped. The heart wrenching stories are difficult to read and understandably filled with bewilderment and anger. Without a doubt, there are many patients with chronic pain syndromes that require opioids in order to have a restful sleep or improve function, even if that functionality is minimal. When I am asked by a referring clinician to help with an opioid taper, my response starts with a number of questions. What is the reason for the taper (noncompliance, change in medical condition, previously existing medical risk that was missed, fear of regulatory agency, new insurance/institutional/pharmacy policy, etc.? How long has the patient been on opioids? Is the patient on extended release/long acting opioids or short-acting? What is the half-life of their current opioid (how long will it stay in the body after stopped)? Is there a better option for this patient other than opioids, or are opioids actually the best option when weighing benefits against risk? Is it even appropriate to consider an opioid taper, or is the risk of stopping them worse than the presumed risk of continuing them? If stopping opioids is appropriate, how should this be done? If it’s clear that the patient has not been using their medication, abruptly discontinuing the prescription is generally appropriate. If the patient is on a large dose of opioids, they should not be abruptly stopped or significantly reduced without a careful strategic taper unless there are extenuating circumstances. If a patient is using opioids for recreational purposes, abruptly stopping the opioid may be an option, but other options include admission to a rehab facility or medication assisted treatment with methadone or buprenorphine. Abruptly stopping opioids without support increases risk of suicidality in legitimate opioid patients and in persons using opioids recreationally. Therefore, after all the above are carefully weighed, if opioids must be stopped abruptly, it is reasonable to offer the patient compassionate support that may require counseling or at the very least an open line of communication. Moreover, non-opioid medication support to mitigate opioid withdrawal symptoms are certainly in order. Availability of lofexidine is especially important because for the first time ever, there is specific direction for medical providers on how to dose an FDA approved drug that is indicated for prevention of withdrawal symptoms. The bottom line here is that aside from the reasons a prescribed opioid is being cut-off by a medical provider, or in the case of a person addicted to opioids for recreational purposes, stopping them abruptly is miserable. And if there is an underlying cardiac and/or stroke risk, the elevated heart rate and blood pressure could be dangerous. While I’m not advocating that the world come off of opioids (or remain on them), I am suggesting that if you’re one of the persons who is required to stop opioids (right or wrong), please have a civil conversation with your medical provider or your pharmacist to discuss available options that could serve to reduce the angst and misery you might otherwise suffer. And while you’re standing in the office puzzled and angry, take a deep breath and remember that it is YOU who will be leaving the office without opioids; your behavior and candid discussions may influence your comfort over the next several days or weeks. In short, there are options if you provide honey to your buzzing prescriber instead of vinegar. Although I do understand where you are coming from, being “nice” is all but impossible when you are in excruciating pain because you are the victim of medical negligence caused by #1 physicians NOT standing up for their pain patients fundamental right to “life, liberty, and the pursuit of happiness as guaranteed to all Americans in our Constitution, and #2 when we (pain patients) as a people are being targeted and treated as second class citizens, which again is a violation of our rights, not to mention that it has already been proven unlawful for the Federal government to “exercise any supervision or control over the practice of medicine or the manner in which medical services are provided” U,S. Code, Title 42, Chapter 7, Subparagraph XVII, 1395 – Prohibition against Federal Interference. So please do not ask us to “Be Nice” instead advocate for stopping this ridiculous ban on opioids. Yes; it is nice of you to offer your knowledge of safely tapering off opioids, but I’d rather you tell doctors to fight for the rights of their patients, and their own right to practice as they see fit then explain to my doctor how to take my life away from me. Laura, I don’t think there is any doubt that I’ve been advocating for patients on my own time. This post was intended to help guide patients that are placed in a difficult situation. Hello. I have directly affected by this so called opiate crisis. I have multiple myeloma. A very painful disease as you well may know. I have had my pain med reduced unfairly. I have been very good about not abusing it. Take them as prescribed. Plus my pharmacy visits are a nightmare. Sometimes I get the talk from the pharmacist that these can be addictive. And I am treated as a drug seekers. And times I am told they are out. Well one of my friends is a tech there and she told me they had plenty! I am being treated as an addict. Plus I bam terminal. I thought cancer was exempt? How can I fight this? I live in Oregon which has some of the most strict laws and recommendations. I am scared as my disease progresses. The chemo and radiation makes me hurt all over like I’ve been hit by a car. I also had a friend on it suicide because his medicine was reduced to 20 oxycodone. He had brain cancer and was terminal. He had six months or more to live. They told him he was a druggie. He tried for a couple of months with the reduced meds but the pain became unbearable. Finally he shot himself in the head. He leaves behind three small children and a wife. Please tell me when this madness will end! Thank you for all you do. God bless. Are you able to suggest a proper tapering schedule for me. I have read so many different schedules and am totally confused at this point. Currently taking 8 mg of methadone daily ( 4 Mg. In the morning and 4 mg. in the evening). Been doing this for the past week. And at what point should I quit to lessen the withdrawal symptoms? When I went total cold turkey from 40 mg. Of methadone and 60 mg. of OxyContin it was pure AGONY for 2 weeks. Thought that I would die. I do not want to ever go through that again, but I do want OFF these drugs, the sooner the better. I would appreciate your suggestions. Thanks again! Kathy, I’m happy to help, but as stated previously I need to communicate directly with your medical provider. Kathy, There are several options, but a proper taper alone may be enough to enhance sleep. Kathy; Addition of sertraline can make the withdrawal symptoms worse, because it has noradrenergic activity, which is the same type of activity that causes withdrawal symptoms in the first place (agitation, anxiety, racing heart, increased blood pressure). As I stated in my previous response, I believe your doctor needs some guidance on how to properly taper in your situation. With all the hoopla surrounding maximum daily morphine equivalents and ultra rapid tapers, this country is seeing a different type of opioid crisis, that is, many clinicians just don’t have the experience to do what they are being asked to do. Again, I will be happy to speak with your physician and guide him/her through the best way to manage your taper, but I cannot advise you directly. What I can tell you is that although increased pain may be an issue as the opioid doses diminish, withdrawal symptoms can virtually be avoided, or at least be at a very tolerable level if this is done in a reasonable fashion. PS I think he gave me the sertraline because I was not sleeping at all for over 2 weeks. Now I am sleeping at least a few hours per day. I do not think that the clonidine .1 mg is helping at all as my bp is still high and it has not done anything for the withdrawal symptoms. He should email me first through my website and we can set up a time to speak. Is the email address that he would use paindr.com? I cannot give specific medical advice on this forum. Please speak to your doctor about a more gradual methadone taper using the methadone and an adjustment to the clonidine dose. If your doctor is not comfortable with this, he/she can refer you out or contact me directly via email to help with a more exact plan. That’s extremely unsafe to be on two long acting medications together…. Dr’s prescribing this combination should NOT be prescribing in my opinion. It has gotten so bad just in the past 5yrs, i have been on a regular dose that works for me 4x10mg percocet for 15yrs due to major injuries i had when i was in my early teens. never had a bad urine test followed all the rules, but once i lost my job and insurance it became a nightmare. Now im going through same problems with my 80yr old Dad who has no hip joint can’t be fixed. confined to a wheelchair and also has two torn rotator cuffs and just had his neck fused last year. we have been to 8 diffrent specialist and they wont give him anything stronger then tramadol or they want to do more surgery. He is 80 and has had 16 major operations in his life he is done with that. so if he wont do what the doctor wants then they cant give him anything for pain. This has gotten out of control we need to stand up for the people we love and ourselves why should we live in pain when there is medication that will atleast let us get out of bed and be productive but i guess that is to much to ask for. I have been on opioids for early 36 years, all except 10 months when I wore a TENS unit. I had to wear it on a high level, like 7 or 8, I can’t really remember, but after the 10 months my body rejected the TENS and I had to go back on opioids. During those 10 month I never had any type of withdrawal symptoms or if I did I wasn’t aware of what it was. Now my meds have been cut in half and I’m talking one half a pill along with a Goodie Power trying to make it through the days. Today it is cold and rainy and my added Goodie Power isn’t helping any. I pray you and others like you can do something to help those of us that actually needs opioid meds. I have been dealing with Sarcoidosis, joint pain and deterioration , Fibromyalgia, RA, Osteoarthritis for 28 years. I was a NICU nurse for 20 years. 10 of those years I battled severe pain and inability to do my job. I finally was put on permanent disability by my PCP and orthopedic. I had to have both knees replaced at age 47. I started seeing a rheumatologist at age 42. She started me on low doses of oxycontin and percocet. After about 8 years…she stopped prescribing opioids. My PCP at that time continued prescribing them. I take them responsibly. I use 1 pharmacy all the time. I never finish my months worth before the prescription is due. I usually have an extra weeks worth at the end of the month. My PCP fell, became injured and retired. His covering dr. , who I have to see now….has been telling me for 2 years……we have to get you off these opioids. I asked him what he could give me in place of them…..he has no answer. He just keeps saying you have to come off. I don’t abuse them. However, I could not shower and dress without pain relief. I cannot function without pain relief. What do I do in my case?? I don’t like this dr, but i know if i go anywhere else, i won’t get my meds. But I’m frightened that he will refuse to give me my prescriptions. I might be able to make a suggestion if I knew the medication and doses. Dr. Murphy’s article is NOT fantastic. It’s helpful as far as a better understanding of a drug that helps with withdrawal symptoms. But WHAT ABOUT THE CHRONIC INTRACTABLE EXCRUCIATING PAIN?? And in what way is returning a stable chronic pain patient to a state of life and employment threatening agony NOT malpractice. And I mean that as an honest question Mr. Fudin? How is involuntary tapering without alternatives not malpractice? Most people I know are so afraid of being cut off they’re very polite to doctors. Once completely cut off, abandoned, that’s a different storyHad hope Lofexadine would help with withdrawals. I felt so weird, withdrawal was preferable. It’s very expensive. I’m glad I was given a sample. Wonder how methadone for pain has gone from 2 times mme to 10 times. 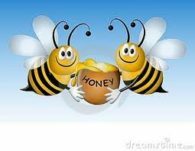 As a Chronic Pain cancer patient, believe me We have learned the honey approach. We MUST drug test more than felons, listen to every lecture and that look doctors give when discussing pain, and then to top it off, if we are lucky enough to find a pharmacy, we have to be lectured by the counter person and the pharmacist in front of everyone. Please understand my frustration. I am in pain….I will continue in pain and I will most likely die in pain. Maybe doctors need training on compassion. Karol, You and I don’t disagree. Please, can you tell me if there is any analgesic properties if prescibed buprenorphine, off label, specifically for chronic pain issues? Thank you. Yes. In fact original studies using comparable doses of IV buprenorphine in the late 70’s showed that it was similarly or more effective compared to IV morphine and the analgesic effect lasted longer. How about studies w/ PO bupe, as that is what will likely to be Rxd over IV? I’ve read that the long half life outweighs the weak analgesic effects PO – is that along the lines of your understanding? If it was on par, I would think it would have been a more popular option back in the 70-90s. Stacey, Great questions. Most “PO” versions that are intended for sublingual absorption are about 30% absorbed. Intravenous is obviously 100% absorbed. Considering this, the IV studies used 0.3 to 0.6mg buprenorphine per dose versus 10mg intravenous morphine (equivalent to 30mg oral morphine) per dose. Buprenorphine anlagesia in most cases for pain lasted 6-8 hours (mostly 8). Using Suboxone as an example, the lowest available strength contains 2mg or buprenorphine; 30% of that is 0.6mg which is consistent with the IV doses above. So why was it not a more popular option back in the day? Two reasons; first it was only available in the UK originally, not the USA, and secondly, it was studied as an injectable for acute pain for hospitalized patients where morphine and other more traditional opioids were readily available and just pennies compared to the newly branded Buprenex (buprenorophine IV) product. It later became available in the US, but again, with medical supervision and a less expensive option, it seldom was prescribed to inpatients. The study I am talking about is from Kay B. A double-blind comparison of morphine and buprenorphine in the prevention of pain after operation. BJA: British Journal of Anaesthesia. 1978 Jun 1;50(6):605-9. You act like going to the doctor is a privilege and we should not feel emotions when you disturb the little bit of quality of life few get. Doctors like this one are the problem. There is a reason the #doctorsaredickheads is trending…. Because that’s how the majority feels. It is a civil rights crime to isolate and single putedicLly at risk patients. You just wrote a whole article doing just that. Isnt there some sort of law that stops doctors from speaking about their patients or with media and they must be careful not to speak their own opinions or they could lose their license. Just saying…..
Doctor’s moto “I won’t give up on you” unless a little bit of adversity is applied by the government I will fold like a bad hand of cards in a poker game. Thanks for showing me what I need to take care of my miserable pain and when I ask for it call me a drug seeking addict, thanks for not standing with us in our time of need , thanks for turning against us as soon as it was either you or us. It was never about helping people was it, it was about keeping us coming back , and getting that good pain scale report my the patients in order to get paid , it was just a coincidence that the medication actually helped with the pain right? I now see doctors as extremely untrustworthy, very very few have actually stood up for cancer patients, veterans in horrible pain from war time injuries, and the regular ol chronic pain patients such as myself,… doctors go to a large gathering to hear a speech that was sponsored by insurance companies, DEA, Medicare, and basically the United States government, all the people or agencies that have a stake in this “Heroin epidemic ” , they tell a huge auditorium of doctors that opioids are bad, you have caused this epedimic we will start arresting doctors who leave here today and continue treating pain with opioids, …and you doctors actually believe this and start abandoning your patients, with no care of the suffering they will endure, and after withdrawal they will still have chronic pain, most will get worse because their conditions are degenerative. But you ask us to be nice and understanding? Tell that to my children when dear old dad cant make it to there games anymore, or dear mom when she has to quit working and cant provide for her children due to her pain not being controlled, tell that to the veteran that has a gun in his mouth because the VA won’t give him his medication that he has been taking for 15+ years because his legs and testicles were blown off in Iraq, and is in excruciating pain, …sorry but this is as nice as I’m getting until some of the few people who can help end this draconian targeting of chronic pain patients and the doctors who treat them (yes I’ve included you as a target to) , actually start standing up for what they know is right, instead of running like cowards ,and that’s you the doctor. We can’t do this alone. Thanks for your well written post. I worked as a nurse in Oncology and Hospice for 25 years and a large part of my job was pain management. Five years ago I hade to leave nursing because of back injuries received on the job and after back surgery. I am on disability and in severe pain that has left me in bed most of the day every day until my doctor titrated my pain medicine to the point that I could shower, help my husband fix dinner sometimes and even visit my granddaughter. Now I am back to being in bed all the time because the doctor is now reducing the pain medicine on a monthly basis. When I was in nursing this was considered malpractice. The doctor would be sued for lack of care. I agree the doctors are failing us because they are the ones who know who need the medicine and they are not fighting for us. I’m in the same situation as you. And I am angry. I’m in bed most of the time and now my husband has to work out of state. How much meaning does life have without proper pain management? but as long as big Govt is playing dr, how can we be civil? and where is the surgeon General in all this? Thank you Dr. Murphy. Your article link is fantastic and very timely!